What does every Kimberbell bench pillow need? Bench Buddies! 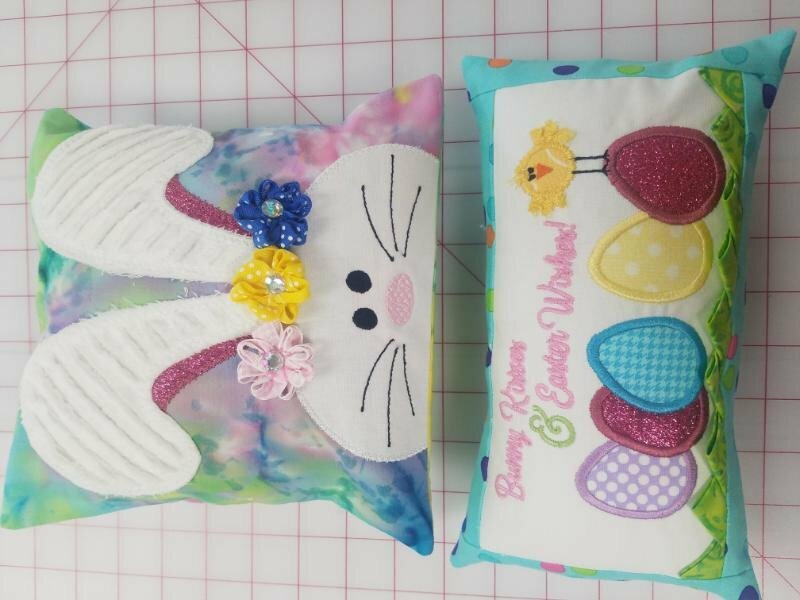 You'll choose from one of two easter themed pillows in the class, but the Kimberbell collectioni features designs for January through April. Make adorable new pillow covers for each month, and switch out the pillow form as the seasons change. Includes kit. CD must be purchased separately.